On June 30, 2015, the Capalino+Company team attended the 2015 Asian Women in Business (AWIB) Procurement Opportunities Conference, an event designed to foster partnerships between minority and women owned businesses (MWBEs) and public and private partners. The conference, which is in its 12th year, was an opportunity for attendees to network, learn about doing business with the private and public sectors, and share best practices. It featured a keynote address by New York City Comptroller Scott Stringer and Maya Wiley, the Counsel to the Mayor and the administration’s MWBE Director followed by panel discussion. We started an MWBE practice to continue to support MWBEs in New York City. Founded in 1995, Asian Women in Business is a non-profit organization dedicated to empowering Asian women entrepreneurs and supporting inclusion of minority and women owned businesses. The City and State have increased their goal requirements for MWBE participation in contracts, and programs like the AWIB Conference are designed to help MWBEs succeed. The event opened with an introduction by Bonnie Wong, the President and founder of Asian Women in Business, who spoke about the new opportunities and goals for minority and women-owned businesses in New York City. 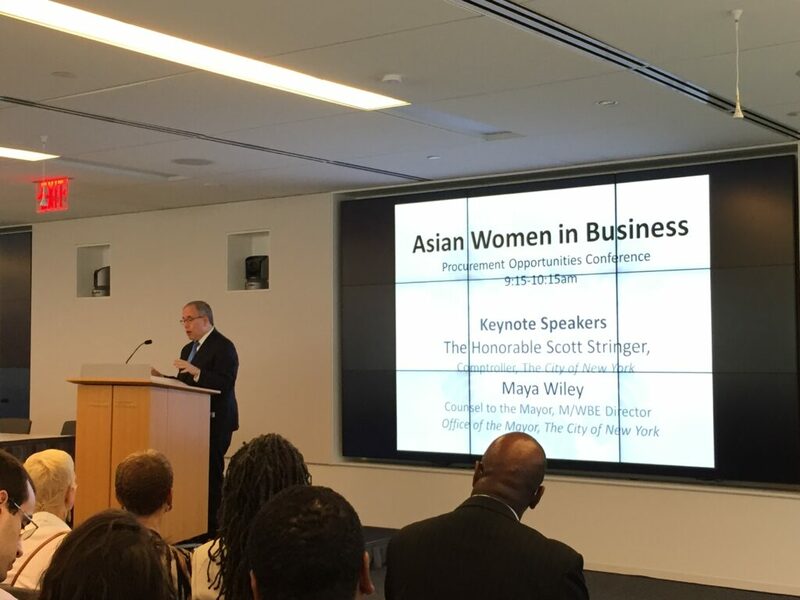 New York City Comptroller Scott Stringer emphasized the incredible diversity of the City of New York, and the work his office has done in the last 18 months to promote compliance with the City’s stated MWBE goals. He reminded the audience that increased diversity is not only good for diversity’s sake, but also because a diverse workforce drives increased economic growth. Maya Wiley, the Counsel to the Mayor and the administration’s MWBE Director, contextualized the conference in the current social and economic context: she spoke to the need to ensure equal opportunity for all Americans, and how equal opportunity is the way to decrease income inequality. She also discussed the current state of MWBE procurement in the city, the future of MWBE contracting, and the rules that need to be changed to ensure the city can comply with its stated goals. The city has a goal to spend $16 Billion on MWBE contracts over the next ten years, which it outlines in OneNYC, but currently, only an approximate 4% of city contracts go to MWBEs. 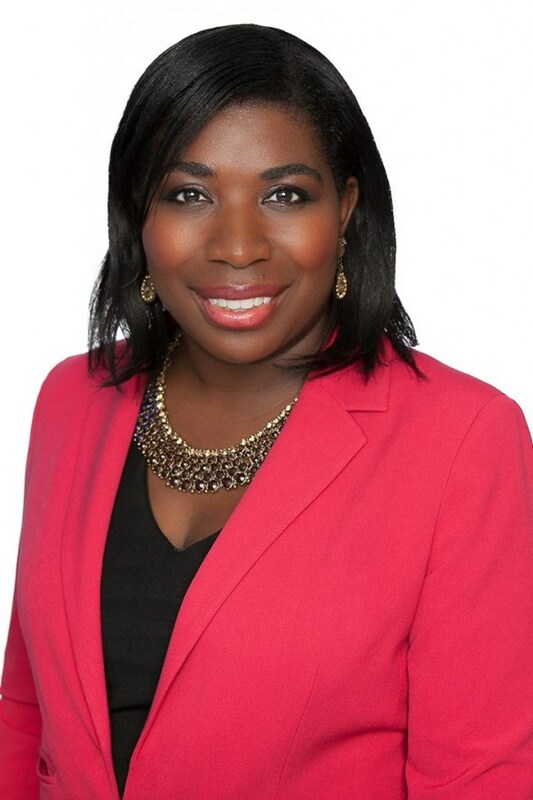 The Capalino+Company MWBE Consulting Group, led by Senior Vice President Tunisha Walker, works with MWBEs to build their capacity and secure government contracts, and assists companies seeking to hire MWBEs to comply with MWBE goals. For more information on the MWBE Consulting Group, please visit our MWBE page below. Sign up for our weekly newsletter here to keep up with the latest news in NYS.